Create simple sophistication by adding the Ultra Mod Shape Knob to cabinetry while enhancing Modern style decor. Multiple finishes available. Installs easily with included hardware and is a noticeable change for any cabinetry. From Liberty Hardware, the Emblem Knob is a fresh and unique update to traditional cabinet hardware featuring well-designed proportions and details. This is a great way to update traditional cabinetry and furniture. Crafted from die-cast zinc for long lasting quality and durability. Installation hardware is included for your convenience. From Liberty Hardware, the Round Knob features classic silhouette. This knob is a great choice to add a welcoming finishing touch to your cabinetry or furniture. Crafted from die-cast zinc for long lasting quality and durability. Installation hardware is included for your convenience. The Liberty 1-1/4 in. Flat Black Round Knob is the perfect way to add a classic modern accent to your cabinetry. High-quality die cast zinc base material in premium long-lasting flat black is a stylish finishing touch to your decor. Uses 8-32 x 1 in. machine screws. 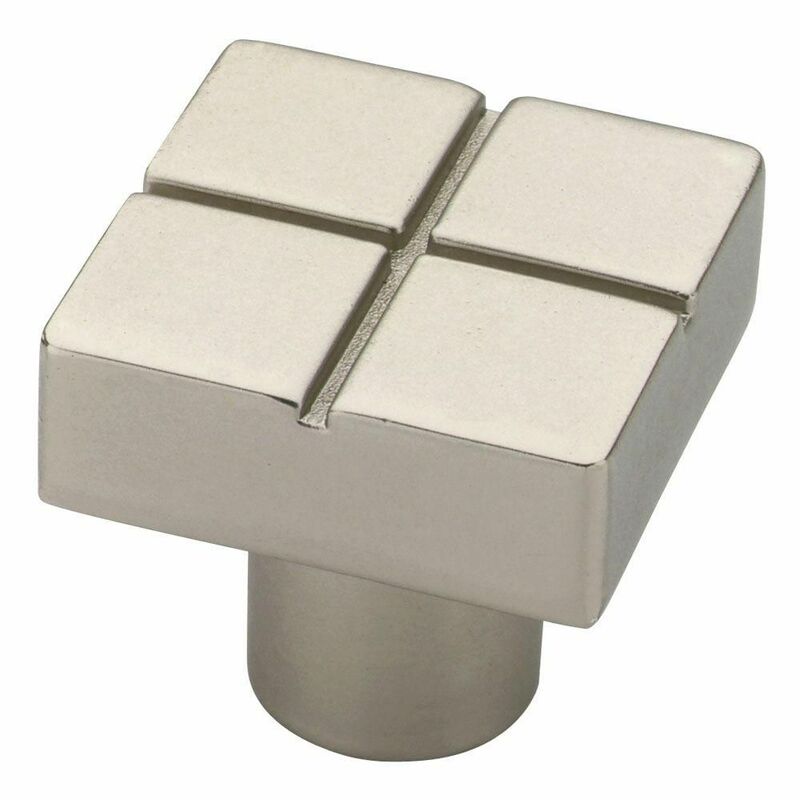 From Liberty Hardware, the Lansford Knob is a simple design, with well designed proportions and details. Great for today's modern casually styled cabinets and furniture. Crafted from die-cast zinc for long lasting quality and durability. Installation hardware is included for your convenience. 1-1/8 Tile Knob, 1 per package Create simple sophistication by adding the Ultra Mod Shape Knob to cabinetry while enhancing Modern style decor. Multiple finishes available. Installs easily with included hardware and is a noticeable change for any cabinetry. 1-1/8 Tile Knob, 1 per package is rated 3.0 out of 5 by 3. Rated 1 out of 5 by DH from This knob is not 1/18. It is 3/4. I have ordered it twice on advice of Home Depot rep. Size i... This knob is not 1/18. It is 3/4. I have ordered it twice on advice of Home Depot rep. Size is 20mm, even says so on the package. Rated 3 out of 5 by TickedinReno from Matches my cabinet Perfect size and style, two screw sizes for different thickness of doors.